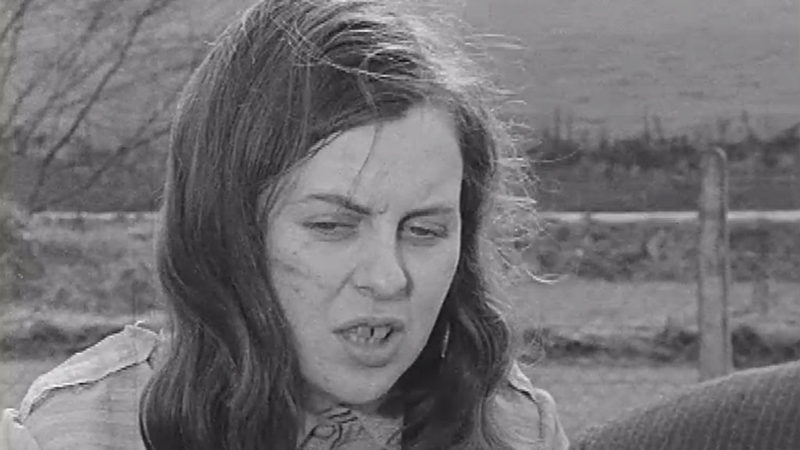 Bernadette Devlin, then Member of Parliament (MP), lost her appeal against a six-month prison sentence imposed for taking part in riots in Derry. She was arrested on 26 June 1970. 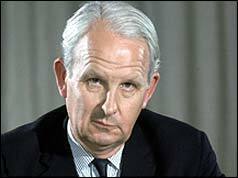 A system of committees to oversee control of key government departments was proposed by Brian Faulkner, then Northern Ireland Prime Minister. This system was seen as a way of providing a role for opposition parties at Stormont. The Irish Republican Army (IRA) announced that it would call a ceasefire from 26 June 1972 provided that there is a “reciprocal response” from the security forces. At approximately 12.00 pm four men were shot and injured in the Glen Road area of west Belfast. A Catholic civilian was shot dead by a British soldier following an altercation in Olympic Drive, Strabane, County Tyrone. A Royal Ulster Constabulary (RUC) officer was shot dead by the Irish Republican Army (IRA) in Belfast. A Catholic civilian was shot dead in an attack by the Protestant Action Force (PAF), which was a covername used by the Ulster Volunteer Force (UVF), in Greenisland, County Antrim. Another Catholic civilian died having been shot two days earlier in Fraser Street, Belfast. Two Protestant civilians were shot dead by Republican paramilitaries in an attack at Westland Road, Belfast. A Catholic civilian was stabbed to death by Loyalists (paramilitaries?) in an attack at Baronrath Bridge, near Sallins, County Kildare, Republic of Ireland. Michael Devine, then an Irish National Liberation Army (INLA) prisoner, joined the hunger strike. John Major, then British Prime Minister, came under continuing internal Conservative Party opposition to his leadership. In an effort to confront this opposition Major resigned as leader of the party but also announced that he would enter the resulting leadership contest. 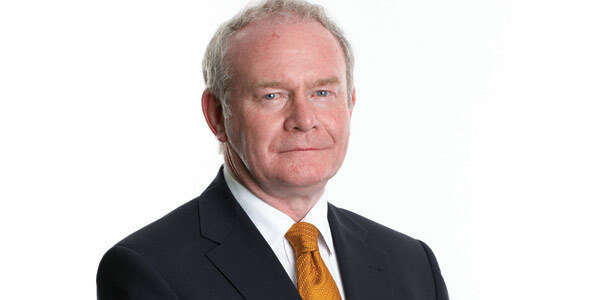 Martin McGuinness, then Vice-President of Sinn Féin (SF), addressed SF’s annual Wolfe Tone commemoration and called for the “removal of decommissioning as an obstacle” to SF entering the all-party talks process. There were a number of Orange Order parades across Northern Ireland, some of which were rerouted away from Nationalist areas. Marches passed off relatively peacefully in Bellaghy, County Derry, and Keady, County Armagh. In Mountfield, County Tyrone, Orangemen accused the Royal Ulster Constabulary (RUC) of capitulating to Nationalists. The Orange Order warned that the peaceful parades did not mean that there would not be a stand-off at Drumcree on 6 July 1997 if the march was not allowed down the Garvaghy Road. 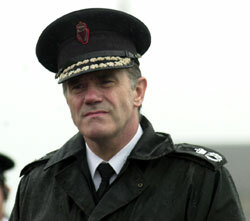 It was reported that Ronnie Flanagan, then Chief Constable of the Royal Ulster Constabulary (RUC), had said in an interview that he would be prepared to force the Drumcree march down the Garvaghy Road regardless of the decision of the Parades Commission. Bertie Ahern, then Taoiseach (Irish Prime Minister), said the Northern Ireland Executive must be established before paramilitary weapons were decommissioned. Ahern said it would be possible to persuade paramilitaries to disarm only “in the context of a confidence in functioning democratic institutions”. David Trimble, then leader of the Ulster Unionist Party (UUP), called on Tony Blair, then British Prime Minister, to sack Marjorie (Mo) Mowlam, then Secretary of State for Northern Ireland. 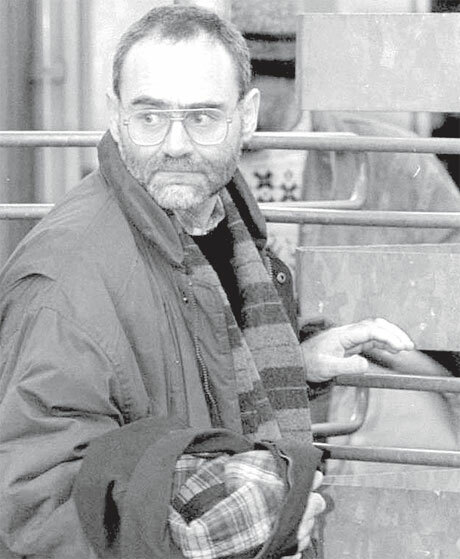 Patrick Magee, who had been convicted of taking part in the Brighton bombing on 12 October 1984, was freed under the terms of the Good Friday Agreement after serving 14 years of a 34 year sentence. There was another Loyalist blockade of the road to the Catholic Holy Cross Girls’ Primary School in Ardoyne, north Belfast. Royal Ulster Constabulary (RUC) officers again prevented children and parents from attempting to enter the school through the front gate. Some of the school’s pupils entered the school throught the grounds of another school. Shot from passing car while on Royal Ulster Constabulary (RUC) foot patrol, junction of Crumlin Road and Clifton Park Avenue, Belfast. Shot during altercation with British Army (BA) foot patrol, Olympic Drive, Ballycolman, Strabane, County Tyrone. Shot by sniper while on British Army (BA) foot patrol, New Lodge Road, Belfast. Found shot on the road to Knockagh War Memorial, near Greenisland, County Antrim. Died two days after being shot while walking home from work, Fraser Street, off Newtownards Road, Belfast. Shot from passing car while standing at Westland Road, Belfast. Found stabbed to death, by railway track, Baronrath Bridge, near Sallins, County Kildare. Shot from passing car shortly after leaving Crumlin Road Prison, Belfast. Off duty reservist. Shot while delivering milk, Ardboe, near Coagh, County Tyrone.